Tracey joined the Duke CE team in the winter of 2011. As a project director for a global client team, she facilitates the design and development of customised executive education programs ensuring that the client’s needs and expectations are exceeded. The role also involves client relationship management, supplier management, programme design and development, managing complex projects, budget creation and management as well as overall project leadership. 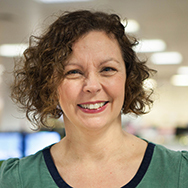 Tracey has worked across a variety of industries prior to joining Duke CE, including financial services, customer relationship management and professional education. Tracey has a strong learning and development background coupled with sound commercial acumen and a proven ability to lead teams to deliver effective business results.She has run an HR Training business, including the creation and management of the £4 million P&L budget and was part of the senior management team responsible for the set-up of a new business school. These roles have included significant staff management and have ensured she is able to work effectively with all stakeholders levels in an organisation. She also has considerable experience of department set up and change management. Tracey has a Post Graduate Diploma in Training and Development from the University of Leicester and an MSc in Human Resource Management & Consultancy from London South Bank University. She is also a Fellow of the Chartered Institute of Personnel and Development. Tracey enjoys living by the sea side, reads a lot (most types of fiction and non-fiction), loves going on long walks and, when she has the time, bakes cakes.